Of the suggestions, the bitSnaps route seems the way to go (dissasembling a wire module?! no). However, it is odd to require additional pieces to make the adapters work well. This isn't an issue just with torque or heavy components. Both sides of the adapter are fairly loose (compared to LEGO's tight fit). It would be nice to have "bitEndCaps" created & included with the adapters. Also, the tolerances could be tighter all around, since even with flanking components the littleBits seem to pop off adapters easier than with Mounting Boards. One last request, since this has gone in that direction. Could we also have some reversed blocks for using Mounting Boards? Currently only the LEGO side is offered in both orientations. LEGO plates are nice, but I would like the option to pick and choose. It might also be less confusing, and less have less flex, if the littleBits side looked more like the Mounting Board. Currently it has peg outlines rather than the more solid surface of the board. In support of Mounting Boards, I will provide an example in both Mounting Board and LEGO. This image below shows two Mounting Boards sandwiched back to back, and gaffed. The LEGO front is simply gaff taped to the boards. The extra power leads were for motor flanking, but not needed if you plan on taping. More pics on next post, since I am currently limited to 3. The underside of this build also has the motors gaff taped, with 1" strips across the power connects in and out, for added strength. Taping adapters like this would be tougher I believe, since you would be blocking the other side. I will try a couple options though and post results. Using a similar sized LEGO plate with adapters should work. Especially if I can keep the tape off the opposite side of the plate (possibly just pinch it at each edge with blocks). I'll see if I can't find the correct sized LEGO plate later today. One small thing to mention, is that this will change the side to side spacing a little. I've noticed that the adapters are built to have space between them. Here's an example of the underside. You can see how I used the gaffing tape for support. This type of tape is low adhesive (but it does have some, which can be useful for making axles tacky if they start to slip - apply tape to axle and remove). You might notice the small sliver of business card wedged between the motors since this is a zero tolerance motor config. Also, since we lack Mounting Board to LEGO adapter blocks, I taped the LEGO struts for the front "tracks", on the example from the above post. I used some business cards to keep them spaced apart (you can see the orange corner if you look closely - sorry it's split between posts, 3 pic limit). You can see this in the third pic below. Wired for dual IR proximity sensors. These would go on the other side. This unit is useable at this point however, as a quick example. It merely drags the rear around if you flip the switches correctly. An example of how I attached the LEGO tracks. I simply took advantage of the long blue struts the tracks are attached to. Again, business cards used for spacing. I could have also used a LEGO plate across the struts (a better approach, with less frustration when attaching). This was quick rebuild to grab the photo I had forgotten. The topside of that quick LEGO build. This uses the LEGO Ninjago Thunder Raider kit (70723). It's a solid deal because it is actually two models, has the right wheels, cool tracks, and mini figs. Keep in mind, the Mix module is only there because I needed the one sided ends for motor flanking and my other connecters were in use. 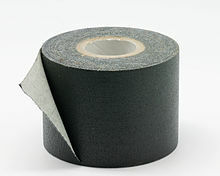 A quick note regarding Gaffer tape (think of clouds parting & angels singing in joyous recognition of this tape). It is NOT duct tape. It is pricey, but very re-usable for maker projects. The tape is easy to remove and the adhesive will not remain on your LEGO or littleBits components. I prefer a 2" wide roll. It is fairly easy to tear once you have the hang of it, thanks to the cotton construction. So making narrow strips is quick work. ...and I believe I am done now. Sorry for all the edits. Question for you, Jude. Have you tried IR filtering on the sensor to cut down on light interference? Also, any tips for dealing with that super stiff IR LED lead? I bend the IR led so that it is coming from below, while the whole assembly is attached to the edge of a mounting board or a brick adapter. I can't see your facebook post - perhaps it is set to private or friends only? @JackANDJude, thanks! I will try the diskette hack tomorrow. The Facebook album access should be fixed. I'll include an additional link here, in case anybody is curious and doesn't use FB (this link will not show comments though). This is a VERY good post. We have also been having issues with the mounting boards and Lego adapters and will try some of the tricks you mentioned (full double ends).